If you are thinking of giving away personalized promotional products to increase your business then you can certainly achieve this purpose through Magic Opener where our openers can certainly be used as corporate promotional products. These would not only be used as can or bottle opening tools but will also be used for effective promotion of your product and business. The openers are well equipped to open different kinds of bottle caps, cans, beer bottles, juices etc so that you don’t have to face any kind of difficulty while using them in your kitchen, at work or may be a grand party. These are available in different colors and therefore can also be used in different trade shows etc like Trade show promotional product which will be instantly grabbed by the visitors since everybody needs a good opener nowadays. 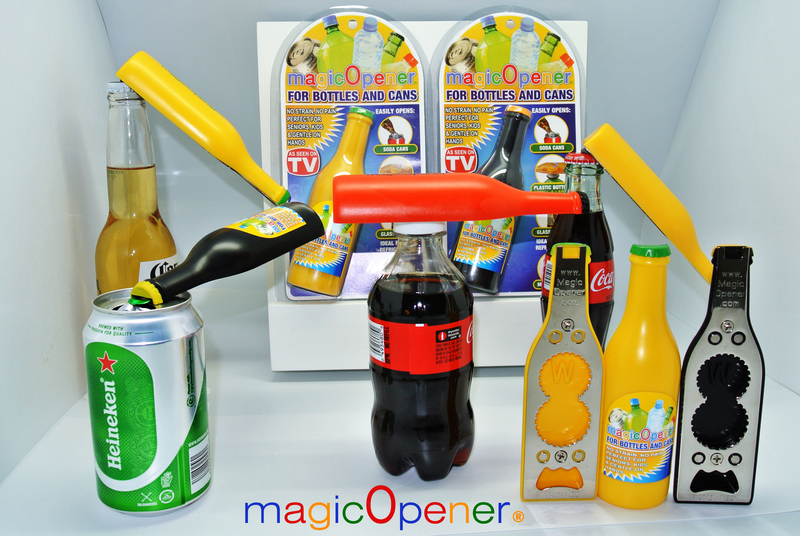 Other than that if you are thinking of a logo promotion of your company or product then you can also achieve the target through Magic Opener using them as logo promotional products and giving it to the targeted consumer section. 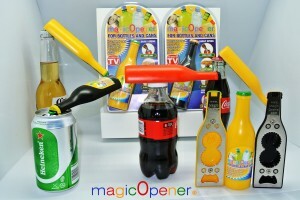 The Magic Openers are very popular among people of all age because of their easy availability and usability. Even the elders using these openers don’t require any kind of tensile strength to pull the top of the can of their beer bottles and they can enjoy them without any interference. Promotional beer opener can be a wonderful option to facilitate easy publicity of your brand through Magic Opener. These openers are also popular because they are not at all dangerous and kept be far away from the reach of the children. These openers at Magic Opener can be used unique promotional products which will serve the purpose well and make sure that along with the effective usage of the Opener the Imprinted promotional products are also well promoted. It’s imperative to use only those products in your kitchen which are never a potential threat to the young kids in your family and Magic openers are certainly one of the best such items. The Magic of these openers is sure to work both the ways.